Do you know that if you had invested Rs 100 in the Sensex in 1979, your corpus would have become over Rs 30,000 by the end of 2017? There is no doubt in saying that the Indian stock market has yielded enormous returns to the investors in the last few decades. However, there were also times, when the market witnessed extreme malpractices carried out by a few wicked minds. Many people with foul intentions applied brainstorming techniques to manipulate the Indian stock market prices. You can have a look at this blog to understand a few common types of scams in the Indian stock market. In simple words, a scam is referred to as the process of obtaining money from someone by deceiving him/her. The majority of the securities market scams that took place in India eventually led to a lot of financial distress to the retail investors. They adversely affected the normal functioning of the markets and degraded the trusts of lakhs of investors on the Indian share market. 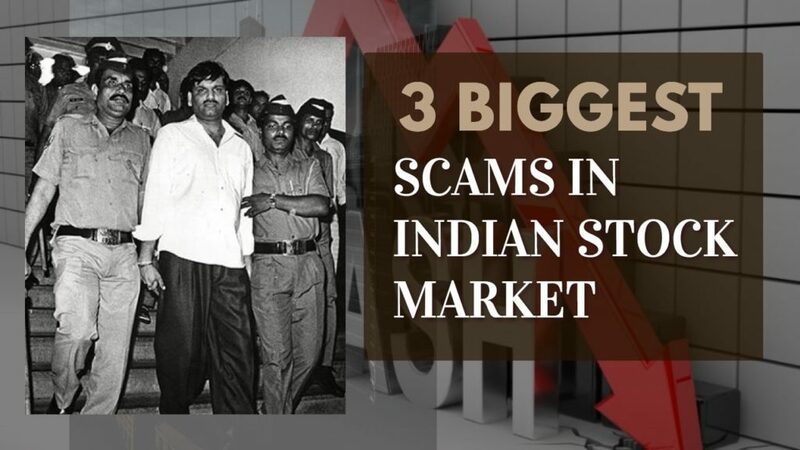 Although there are hundreds of scams reported by the equity investors every year, let us have a brief study of three of the past biggest scams that shook the Indian share market. During the early 1990s, Harshad Mehta, a stockbroker, started facilitating transactions of ready forward deals among the Indian banks, acting as an intermediary. In this process, he used to raise funds from the banks and subsequently illegally invest the same in the stocks listed in the Bombay Stock Exchange to inflate the stock prices artificially. Because of this malpractice, the Sensex moved upwards at a fast pace and reached 4,500 points in no time. The retail investors started feeling tempted seeing the sudden rise of the market. 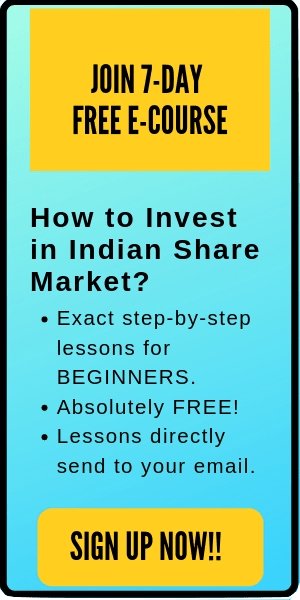 A huge number of investors started investing their money in the stock market to make quick money. 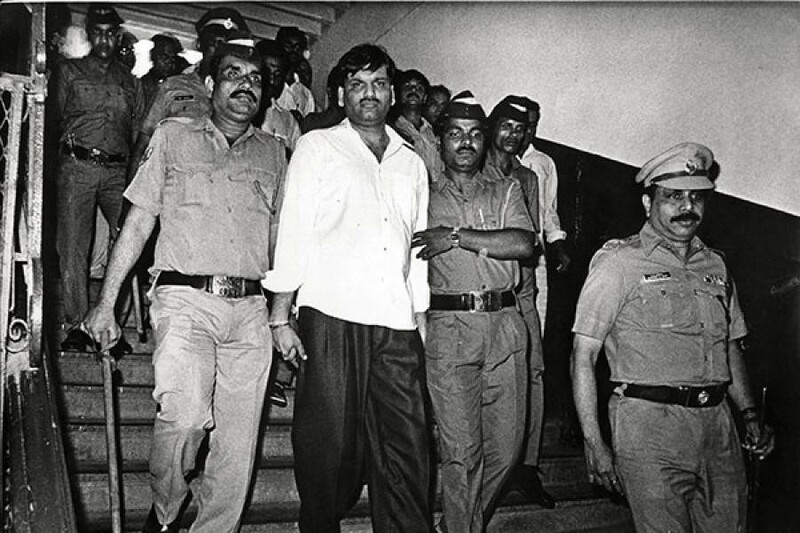 During the period from April 1991 to May 1992, it is estimated that around five thousand crore rupees were diverted by Harshad Mehta from the Indian banking sector to the Bombay stock exchange. After the fraud was revealed, the Indian stock market crashed consequently. And as guessed, Harshad was not in a position to repay crores of money to the Indian banks. Conclusively, Harshad Mehta was sentenced to jail for 9 years by the honorable court and was also banned to carry out any share trading activity in his lifetime. After the Harshad Mehta scam, a Chartered Accountant named “Ketan Parekh” had similar plans of arranging comparable securities scam. Coincidently, Ketan used to work as a trainee under Harshad Mehta earlier and hence also known as the heir of Harshad Mehta’s scam technique. However, Ketan Parekh not only used to procure funds from the banks but also other financial institutions. Like Harshad Mehta, he also used to inflate the stock prices artificially. Apart from the Bombay Stock Exchange, the other stock markets where Ketan Parekh actively operated were the Calcutta Stock Exchange and the Allahabad Stock Exchange. Nonetheless, Parekh used to deal mostly in ten specific stocks, also known as the K-10 stocks. He applied the concept of circular trading for inflating their stock prices. You might be surprised to know that even the promoters of some companies paid him to boost their stock prices in the market. Anyways, after the Union budget in 2001 was announced, the Sensex crashed by 176 points. The Government of India carried out an intensive investigation into this matter. 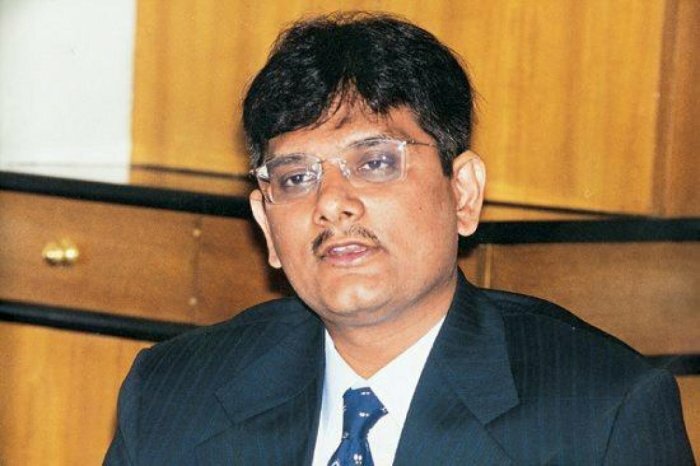 At last, it was the Central Bank who determined Ketan Parekh to be the mastermind behind this scam and he was barred from trading in the Indian stock exchanges till 2017. The Chairman of Satyam Computer Services Limited (SCSL), Mr. Ramalinga Raju confessed to SEBI of the manipulation done by him in the accounts of the Company. This corporate scandal was carried on from 2003 till 2008. It is estimated that the fraud took place for around Rs five thousand crores of cash balances as the company by falsifying revenues, margins. The stock price of Satyam fell drastically after this incident. Eventually, CBI took charge of conducting the investigation into the matter. 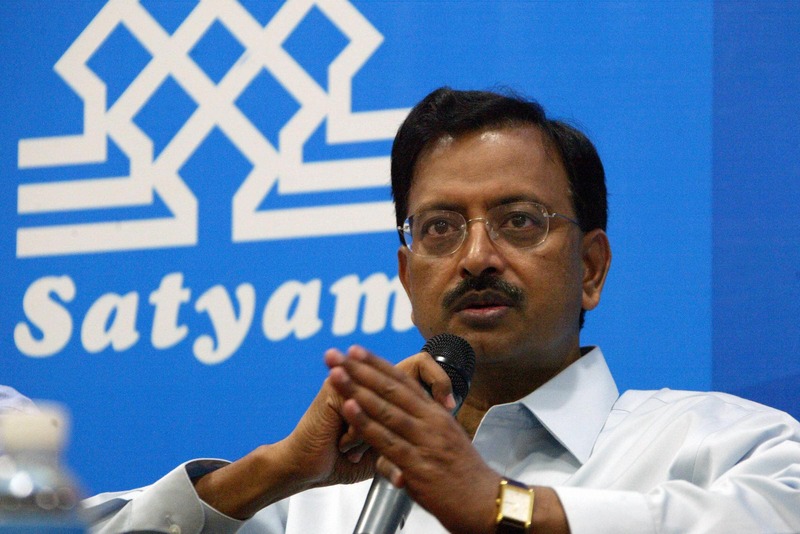 They filed three partial charge sheets against Satyam. Subsequently, these three partial charges were merged into one charge sheet. In April 2009, Raju and nine others involved in the fraud were sentenced to jail by the honorable court. Consequently, Mahindra Group acquired SCSL and it was renamed as Mahindra Satyam. It subsequently merged within Tech Mahindra in 2013. Apart from the above-mentioned scams, here are a few other famous corporate scandals which also deserve to be mentioned in this post. Sudipta Sen, the Chairman of the Chit-fund company called Saradha Group, operated a plethora of investment schemes. The schemes were called the Ponzi schemes and did not use any proper investment model. This scheme is alleged to have cheated over a million investors. The Saradha Group collected huge funds from the innocent investors in West Bengal, Assam, Jharkhand, and Odisha. The money collected was used to be invested in real estates, media industry, Bengali film production houses and many more. The Saradha scam came to the fore in April 2013 when Sudipta Sen fled leaving behind an 18-page letter. Although the Saradha scam didn’t have any direct impact on the Indian stock market, it had an indirect impact on the stock exchange. The Foreign Institutional Investors (FII) took a step back seeing such unregulated Ponzi schemes being floated in the market. 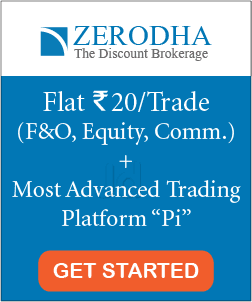 National Spot Exchange Ltd (NSEL) is a company which was promoted by Financial Technologies Indian Ltd and the NAFE. Two individuals named Jignesh Shah and Shreekant Javalgekar were held guilty for this scam. The Funds that were procured from the ignorant investors were siphoned off. This is because most of the underlying commodities did not have any existence at all. The transactions of commodities were being carried out only on the paper. NSEL attracted the attention of the retail investors by offering them fixed returns on paired contracts in commodities. Around 300 brokers have been alleged role in the ₹5,500-crore NSEL scam in 2013. Securities and Exchange Board of India (SEBI) was established in India in the early 1990s to administer and regulate the functioning of the Indian securities markets. It is the apex authority which regulates the affairs of Indian securities market participants. If you are a follower of the financial market, you would know the frequent amendments that come every year in the SEBI Act and Regulations. Although the occurrence of stock market scams and corporate scandals has reduced subsequent to the establishment of SEBI, but haven’t completely stopped.